Forget About Cat Cafes. There's Now Such Thing as a Hedgehog Cafe. Even if you're not a huge fan of cats, you can probably agree the world would be a much better place with more cat cafes and coffeeshops. 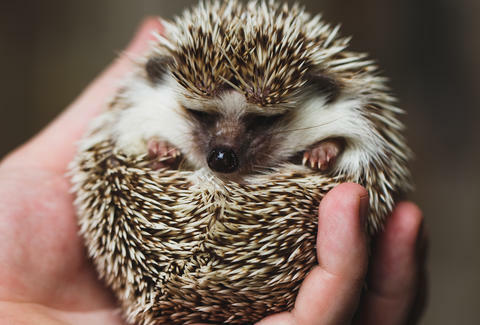 And while the trend has been slow to bring the feline-friendly meowchiato hangouts to a neighborhood near you, it looks like an even better/cuter/cuddlier pet-themed cafe concept has emerged: a hedgehog cafe. The cafe, or Harry, will let you hang out and play with its more than 20 hedgehogs of different breeds for a small hourly fee. Although it's unclear what the menu of food and drinks looks like, the cafe attracts long lines of people hoping to hang out and chill with the prickly -- but snuggly, if you're careful -- little critters since it first opened in February, according to a report by Reuters. Unfortunately, the place is all the way in Tokyo, Japan. "We wanted to show people the charm of hedgehogs, which give the impression of being hard to handle," Mizuki Murata, a staffer at the cafe, told Reuters. "We wanted to get rid of that image by letting people touch them. The cutest thing about hedgehogs is getting them to finally open up and show you their face." Tony Merevick is Cities News Editor at Thrillist and has never seen a pet hedgehog in real life, and feels sad about this fact. Send news tips to news@thrillist.com and follow him on Twitter @tonymerevick.